Should You Moisturize And Seal Your Hair? 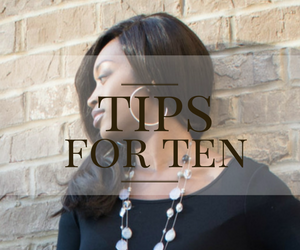 Many of my clients have asked me about moisturizing and sealing their hair. They want to know should they do it, what should they use, how often? I have always been a fan of keeping your hair routine as simple as possible. My answer to this question is no. If you use high quality hair products and shampoo your hair regularly, you should not have to add additional product in it every day. I personally have never moisturized and sealed my hair and I have never had any issues with dry hair. My hair is relaxed, healthy, and properly moisturized. 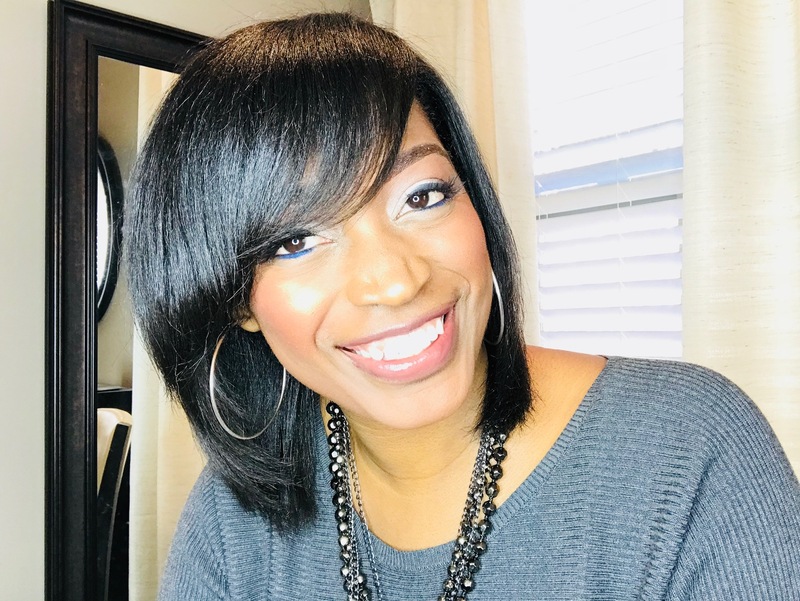 If you are using inadequate hair products that do not offer what your hair needs, then that is when you will have to use other products to get what your shampoo and conditioner did not have in it. on your hair weighs it down and makes it not have body. If you are using great hair products (like Silk Hydration by L. Jones) you will not need to keep adding extra product to your hair. Also, you hair makes its own oils so once you combine your natural oils with the extra you are adding, you are left with a greasy mess. 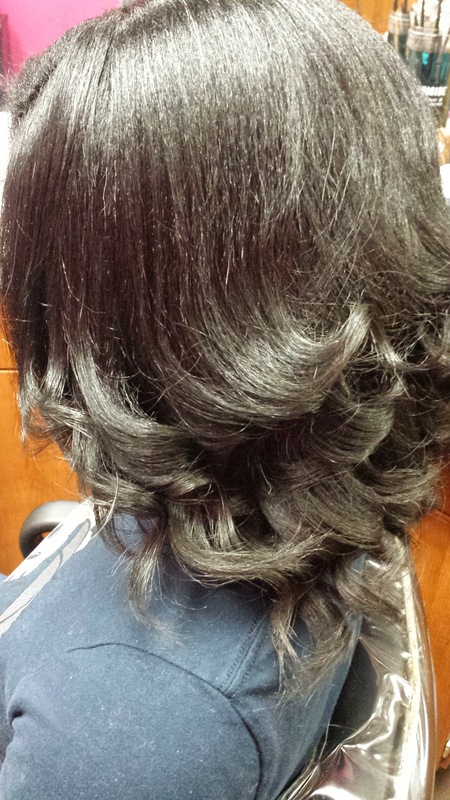 relaxed hair client, no moisturizing and seal required! 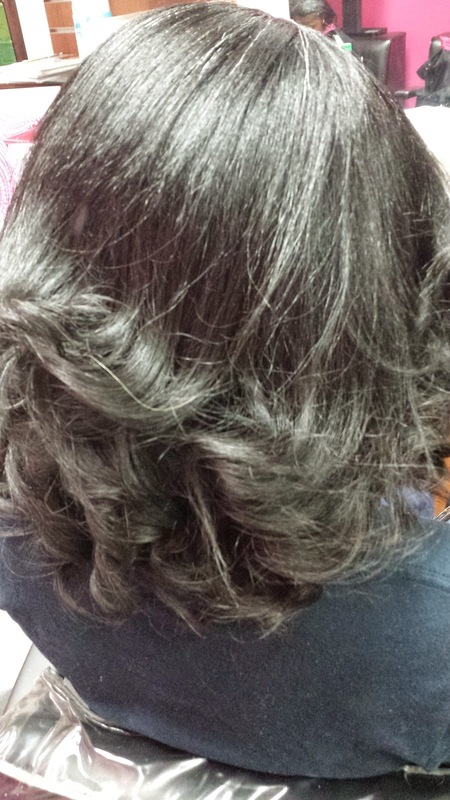 The client featured in this post is one of my clients with relaxed hair who does not moisturize and seal her hair. She comes to me about every two weeks or so to get her hair done. 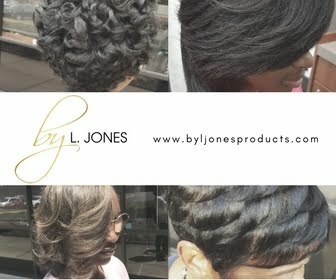 I use the Silk Hydration by L. Jones moisturizing products in her hair to add moisture and that is it. No extra moisturizing and sealing required. Her hair in these pictures has no oil in it and yet you can still see it shining. All she does at home is wrap her hair with a silk scarf and the next morning she simply combs it down. Her hair is thick, long, and healthy. I know everyone wants all the secrets to get their hair to grow long, and to get it to grow fast. 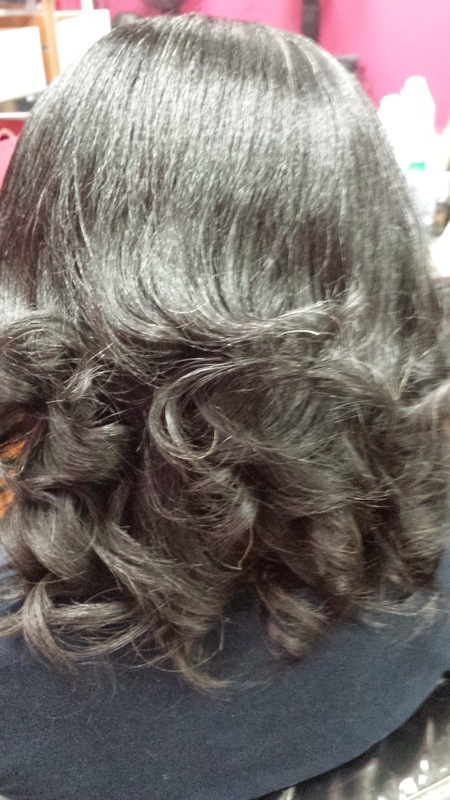 A lot of times some women feel like the more they do to their hair, the more it helps it grow. All you really need to do is use products that cater to your hair (moisture for dry hair, clarifying for oily hair, etc), limit your heat to no more than once per week, and wrap your hair every single day. 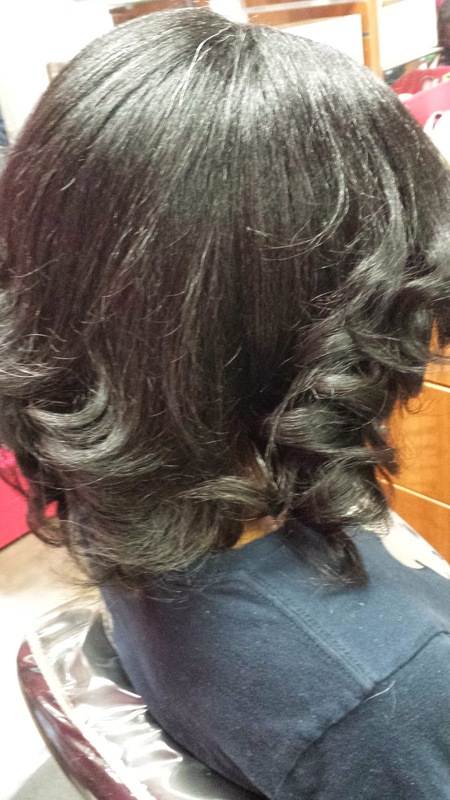 Keep it simple, your hair will thank you! I couldn't agree more! Thank you for the confirmation! I have had relaxers for years , as of the last year and half I've been stretching my relaxers this last time I reached 6month post relaxer , but it just didn't seem like my hair is growning I wash and deep condition every week and do have very dry hair I really need help. 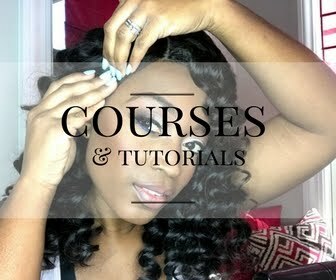 Iam glad a professional finally weighing in on this moisturizing and sealing idea,,, I'll admit i fell for it looking at tons of youtubers saying you have to do it,, and also thanks to a bad dye job that left my hair super dry and brittle, I began doing it.. all it lead to was heavy hair,, beleive it or not even drier ends, and spending tons of money trying different oils and moisturizers to find just the "right' one... I wonder where did this idea come from cause iam 40.. and I sure don't recollect hearing that word moisturizing and sealing until just several years ago. Iam so glad i ran across this site where finally someone saying something diff about this whole idea of moisturizng and sealing if i hear another person tell me i have to do this I will scream ! I'll admit i made a big mistake dying hair jet blk with clariol , i've dyed my hair many years ago with no issues but it's been a long time and when i did it left my hair super dry and brittle and thats when i looked on youtube and many were saying you have to do this... i did and all it left was my hair drier and my wallet smaller , trying to find just the right oil and just the right water based mositurizer..